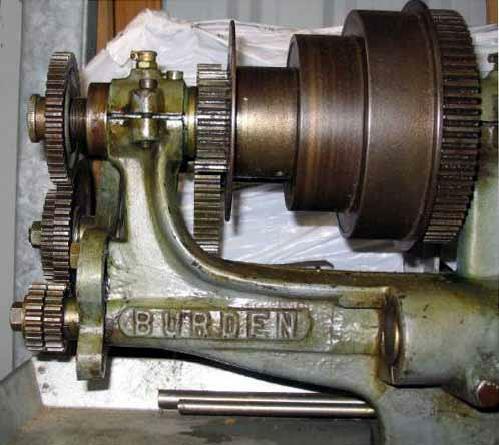 Manufactured by Hercus, but also sold as the "Burden" and "Bagear", this interesting 3.5-inch centre height lathe was listed from the late 1920s until the 1950s. By the latter decade, distribution was in the hands of the Mc Pherson Machinery Company, whose use of the "Bagear" (sic) name was presumably intended to draw attention to this feature (backgear) that had been absent from the pre-war version. 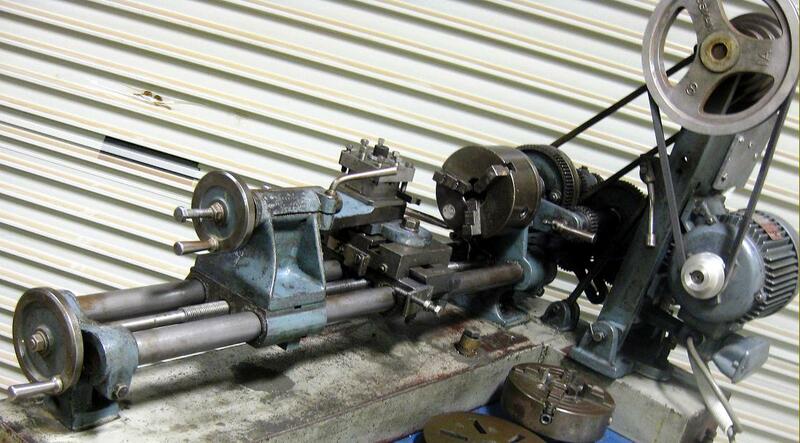 The lathe was not identified as a Hercus in the Mc Pherson's catalogue - indeed, it carried no maker's marks at all. In 1955 the catalogue stated: ….will take work up to 7" in diameter and 13" between centres. Bed consists of two bars on which the saddle travels the entire length and is adjustable. Cross Slide is mounted on saddle and may be adjusted for angle or taper turning. Headstock Mandrel is bored to admit a 3/8" rough bar. 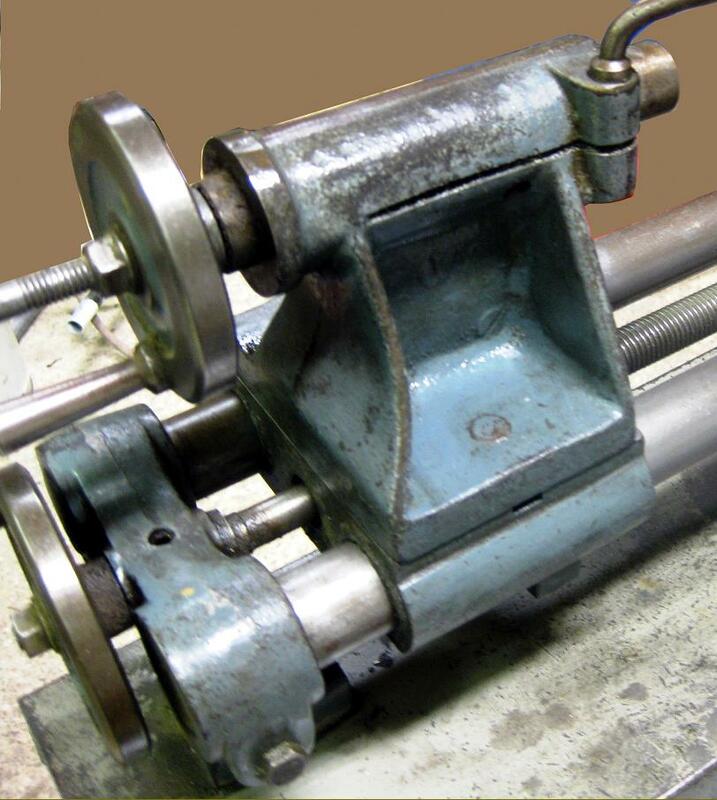 Tailstock is fixed type. Face Plate is 6" diameter. Standard equipment: Back Plate, rough machined, Countershaft Cone Pulley, Change Wheels (9), Chart for various threads." The pre-war version did not have a top slide, nor, it appears, were the phosphor bronze headstock bearings adjustable. This early example admitted 14" between centres and could swing work 5" in diameter over the boring table. 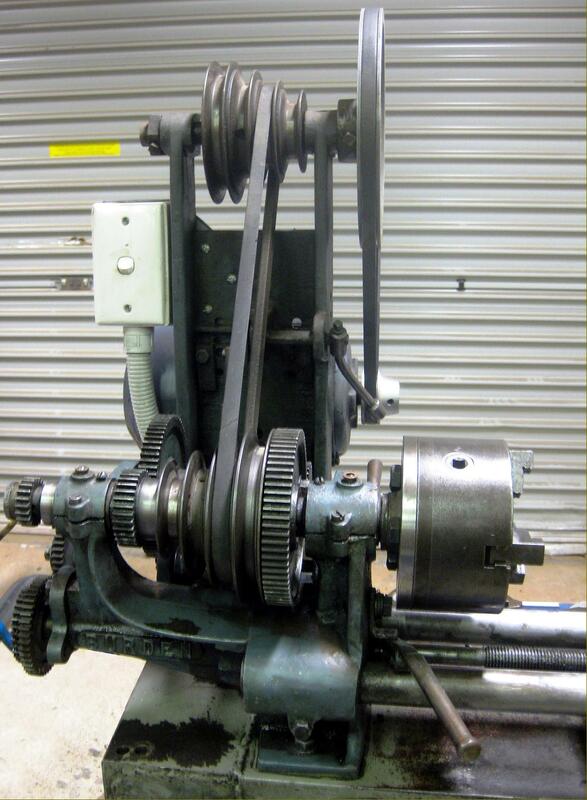 Fitted with a 3-step flat-belt pulley with diameters of 6",4" and 2", the headstock spindle had a 3/4" diameter nose and took (as did the tailstock) a No. 1 Morse taper centre. Eventually to be offered as a long-bed version admitting 19" between centres, the lathe was, although relatively light in built, properly constructed from iron castings with solid-steel bed bars and included most of these those features so desired by the model engineer and experimental machinist: backgear (with decent-sized, machine-cut gears) screwcutting, a T-slotted cross slide and a swivelling top slide - only a tumble-reverse assembly being missing. The machine was also practical - the designer must have been an experienced user of small lathes - with long handles provided on every hand-operated control including the cross and top slides, leadscrew, tailstock barrel - and even the latter's locking lever. Headstock bearings were of the simple split type, in gun metal (bronze) and adjustable, over a small range, for setting the running clearance. 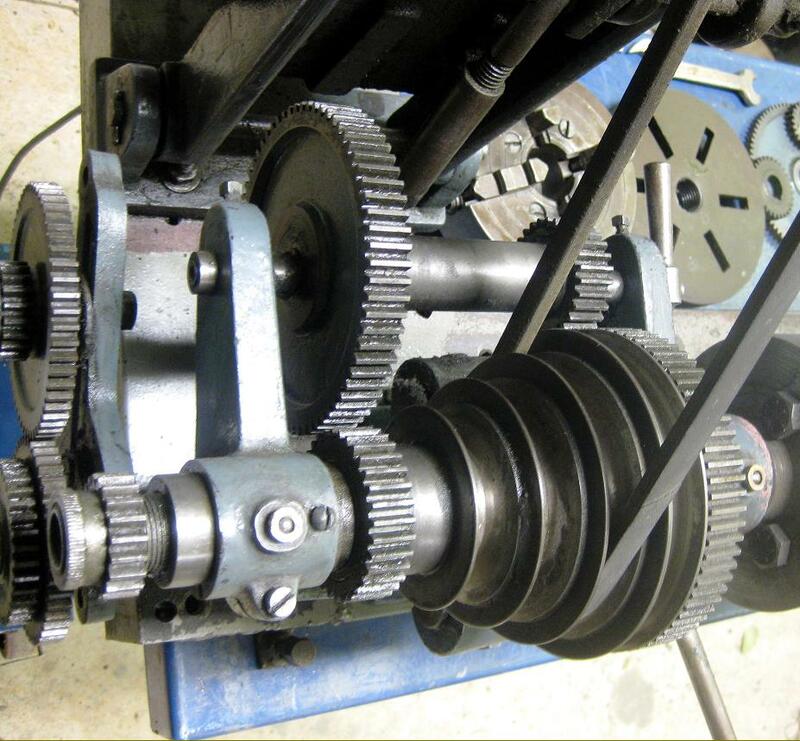 Handily, the leadscrew ran down the centre line of the bed, between the bars, and so pulled on the carriage immediately beneath the cutting tool - a design feature often adopted on high-class toolroom lathes. 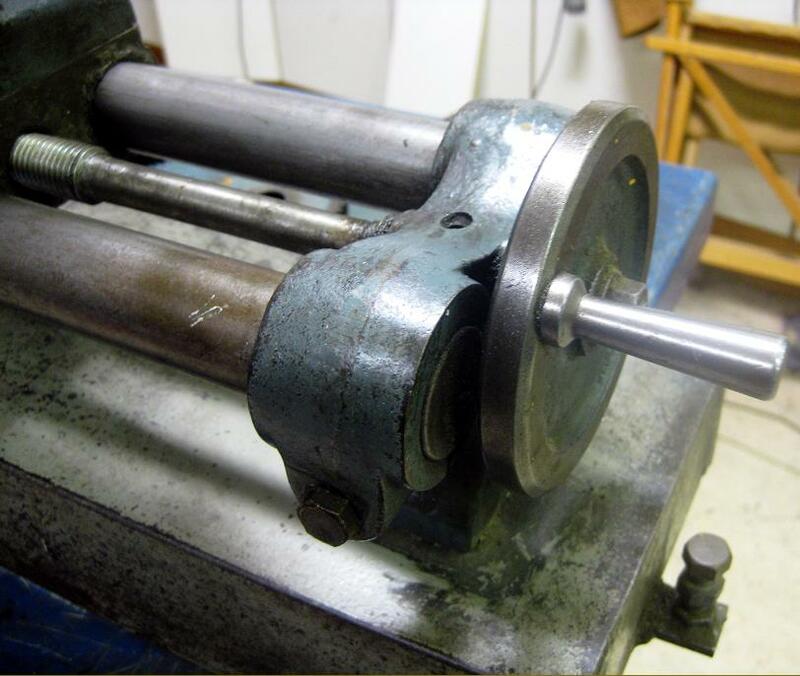 Early versions of the lathe were fitted with a tailstock on a fixed base, the makers offering, by way of compensation, a fixture that allowed the centre to be off-set for the turning of slight tapers. 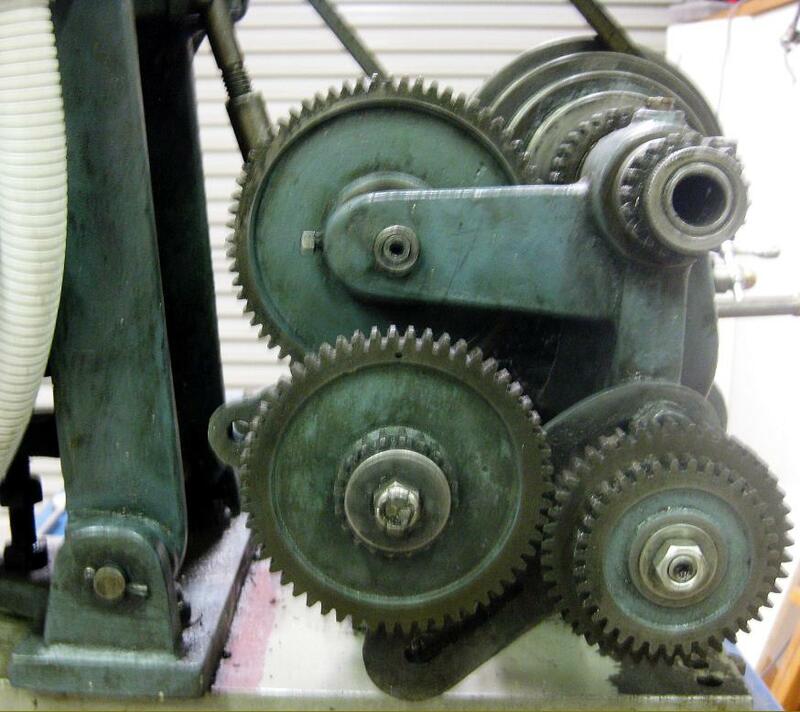 On the options' list was a heavily-built countershaft unit (complete with an effective over-centre, belt-tensioning toggle lever - it is believed that at least two versions of this were sold) an 80t gear to fit on the leadscrew to give an extra-fine rate of carriage feed, wood-drive centres, three sizes of wood screw chuck and a wood-turning hand T-rest. 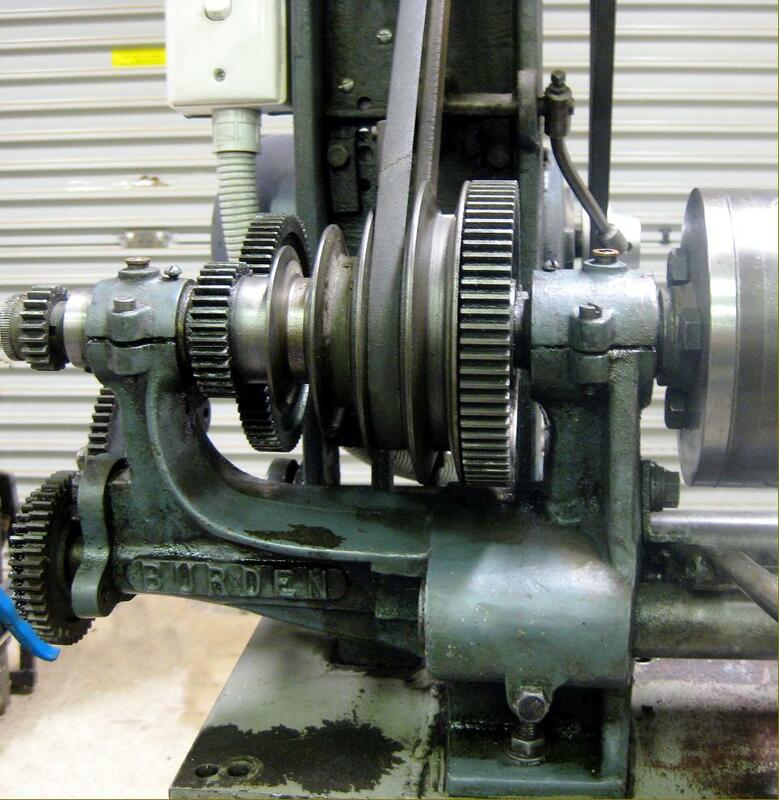 Supplied with each new lathe was a set of 9 changewheels of 20, 25. 30. 35, 40, 45, 50, 52 and 55t (a 63t metric translation wheel was extra), a 6" faceplate, two centres - and a spanner. In common with many similar makers during those harder times, Hercus might well have supplied the lathe without the more expensive fittings - backgear, screwcutting and compound rest - with the cheapest on offer being a simple plain-turning type. 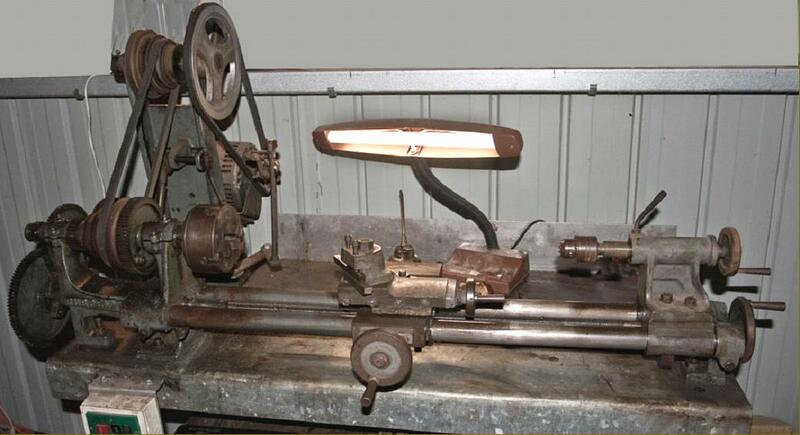 If you own one of these lathes, or have any literature about them, the writer would be interested to hear from you.. 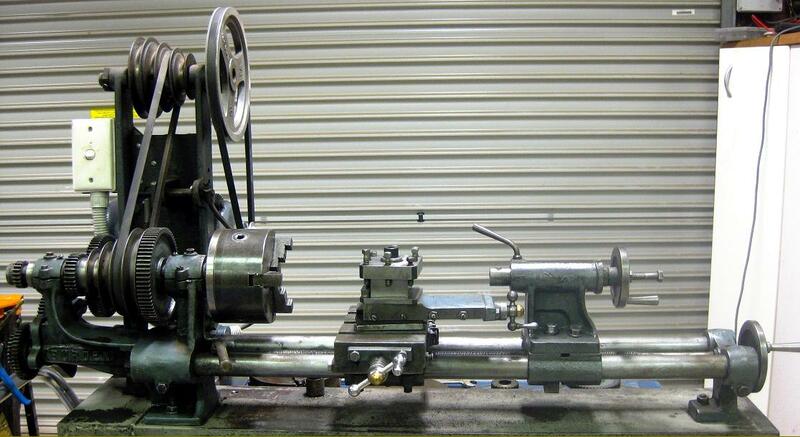 Above and below: a version of the lathe as sold by Mc Pherson's Ltd. during the 1950's as the "BAGEAR"